Each year around the holiday season I pick out a few new ornaments to hang not the tree. I love getting new ornaments to add to the collection. I feel like your tree almost becomes a charm bracelet. All of the ornaments represent you (or your family) and each year you can look back on the ones you've added in previous years. 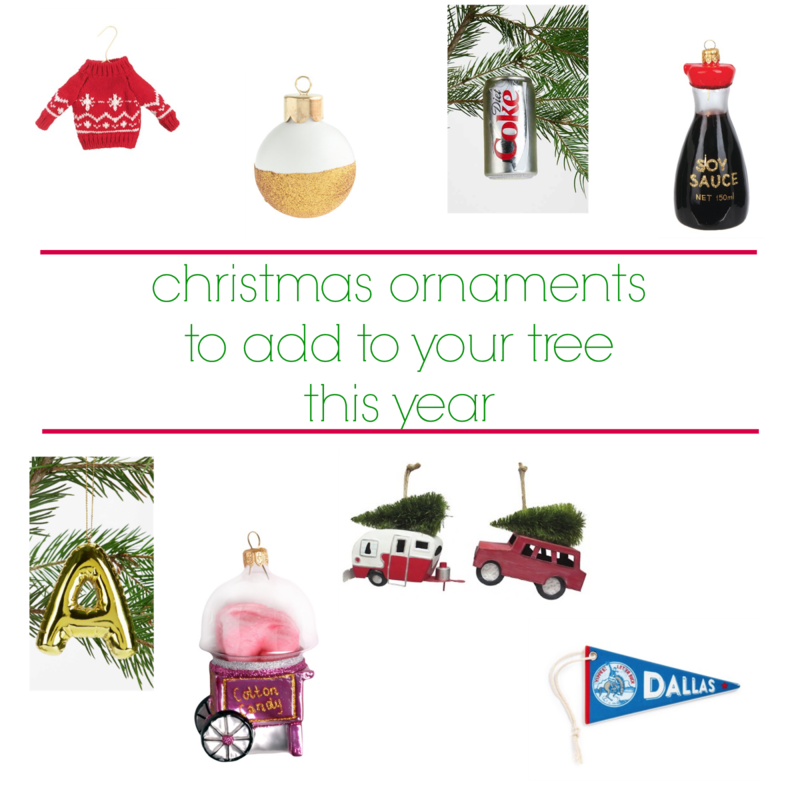 This year I've found some really cute ornaments that have a lot of personality that I would love to add to my tree.